The bolster is covered with an attractive, poly/cotton kitty print. The inside is lined with soft velvety microfleece. 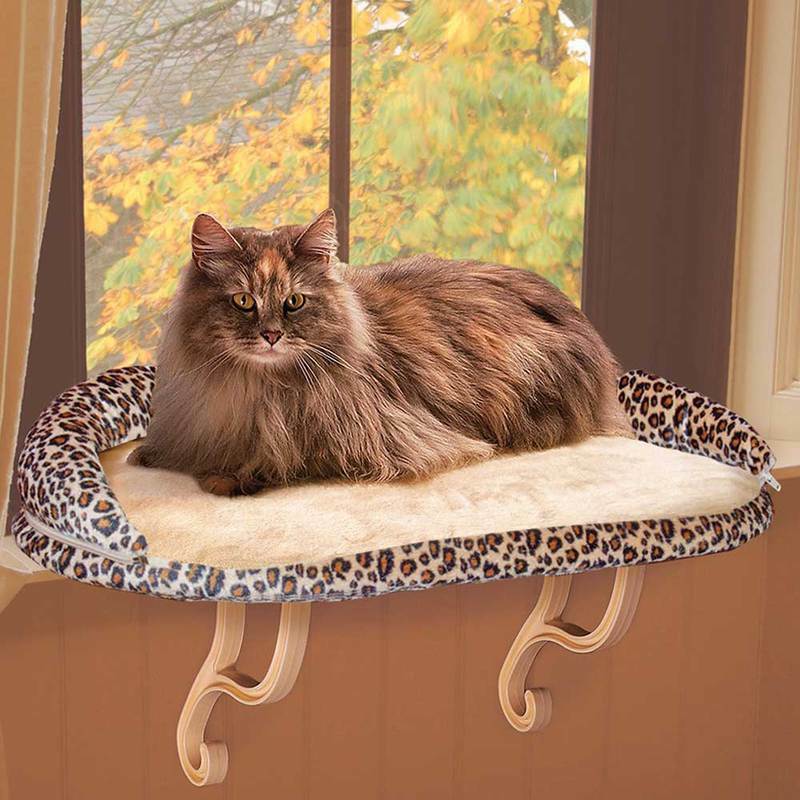 The bolster zips off and can convert into a plush kitty sill. If your kitty wants to cuddle, they can have all the advantages of looking out the window and feeling the sunshine while having the security of a bolster. Dimensions: 14" x 24" x 10"
24.9" x 14.8" x 4"